OmiCronFX : A bursting bubble in gold? Deal with it! A bursting bubble in gold? Deal with it! 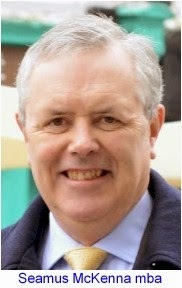 In 1999, when the UK Treasury carried out a study which seemed to indicate that holding gold reserves that amounted to around 50% of the total UK foreign currency reserves was leading to excess volatility in the value of those reserves, and it consequently decided to diversify out of gold, the fundamentals must have seemed to them to be indicating a level price for the precious metal, if not a fall. The price of gold then stood at $282.40 per ounce. But let’s face it, how do you examine the fundamentals for a commodity that has little practical utility outside of fashion jewellery or the trace amounts that go into some electronic equipment? And if Her Majesty’s Treasury cannot do it right, who can? Since the UK sale the price of gold has risen as far as $1900 per ounce, before it peaked at that level in October of 2011. Most of its rise to these heights took place after the last quarter of 2008, and therein lies the major clue to what has happened. 2008 represents the high water mark of global financial insecurity in the wake of the great financial crisis and the start of the US Federal Reserve Quantitative Easing programmes. It seems apparent now that gold became the ultimate safe haven against currency depreciation, with many high net worth individuals and corporations even going to far as to stockpile physical gold, as opposed to buying gold futures or other gold backed derivatives. The very shape of the gold price curve in recent years just screams out “bubble”. And not just a benign, accelerating protrusion of price that one could contemplate riding. It is a bubble that seems to have, well and truly, burst. 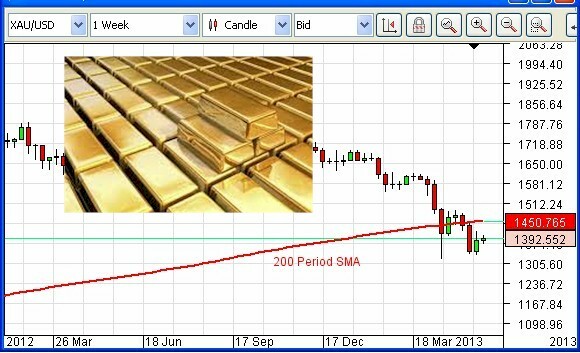 Throughout the month of April 2013, on the weekly chart, the 200 period Simple Moving Average (SMA) acted as a check on the precipitous fall in the gold price. Early in May it broke though this support and is now probing at a new one, around the $1330 mark. This is the very first breach of the 200 Weekly SMA to the downside in the whole range of our price records, which go back well over a decade. As a consequence of all of the above we have set the Omicron Forex Silver Trigger routine to take only short trades. We expect gold to go down but we need to counter the possibility that there could be short term retracements to the upside. To filter out false moves down we have configured the trade creation factor so that a relatively high level of momentum will be required to put on a trade.